POLL: Is the Big Apple a recruiter’s market? Gone are the days when hospitals and other healthcare facilities run after the nurses for employment. 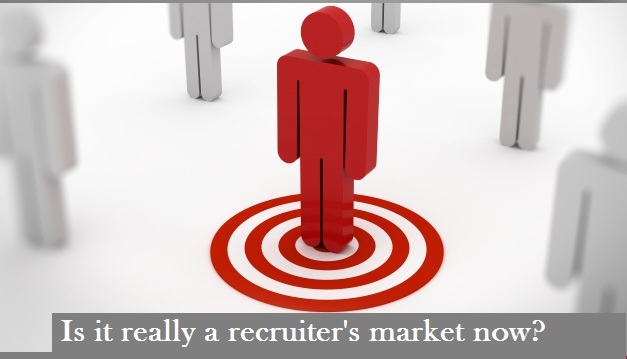 It is now recruiters’ market in the Big Apple. Back in 2004, I remember how a cousin, a Registered Nurse educated outside US, was offered great pay and hefty sign-in bonus in exchange for committing to a 2-year contract with a reputable hospital in the City. The deal was a no-brainer because according to her, two years was nothing since the same contract that binds her to the hospital actually assures her of a regular job. On top of the monetary gains, the hospital also invested in sending her to conferences and continuing studies program that further developed her managerial and nursing skills. Today, she is a top-tier nurse executive in another reputable hospital. Back then her story wasn’t special; a lot of pro-active nurses then rode the way to success during the nursing crunch of the earlier days — a time when there were more needs for nurses and immigration of qualified healthcare professionals were so much easier. There were even hospital programs that offered nurse scholarships and stipends to qualified individuals. In New York City, the queue for nurse applications grew since then. Today it is common to encounter nurses that are still searching for a regular job (with benefits) even six months after getting licensed. Their common complaint is a paradox: The nurses are not hired for lack of experience, yet how will they gain much required experience if they don’t get hired? For the ones that get hired, the working conditions are more pro-employer than pro-worker. Times have certainly changed. At Meridian Nurse Recruiters, we have proven and effective ways to promote your resume. To the new nurse, we can help equip you with the right tools to get noticed. To the veterans, we can further propel your career to greater heights. Call us at 718-255-5830 for more information about our organization.